This story goes back to my college days at Niagara University. Go Purple Eagles! During my senior year, my roommate Sean and I had a bit of a tradition. After our last class on Thursday (of course we designed our schedule to give us Fridays off) we would get absolutely annihilated drunk. That's not fair, we did it a lot more often then once a week, but Thursdays were special. Every Thursday we would meet our friends Cara and Kate at The Orchard Grill. Most students at NU never even heard of this place. 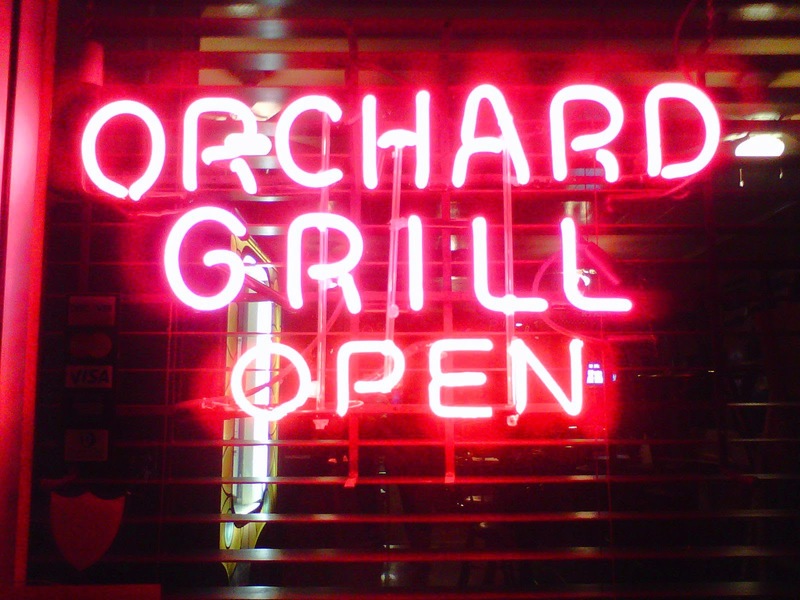 While most of the campus was out at the clubs or overpriced bars, we spent our time at Orchard Grill because it was so cheap and we loved the people who worked there. There were rarely other customers there, and if there were other customers, they didn't stay for long. This was like our own private bar. At the end of the night we got our tab, which was always something stupidly cheap like $20. How could life be any grander? They also had one of those old fashioned jukeboxes with the full albums on it, including Springsteen's Greetings From Asbury Park. Usually at some point during the night, I would put a few bucks in the machine and play the full album, much to the annoyance of my friends and the one or two other patrons in the bar. But on one night in mid September of 2007 something "magical" happened. Somewhere during "Spirit in the Night", this big guy came up to me and said "Are you the guy who keeps playing Springsteen?" I assured him I was and he then asked me to come outside with him. Being chock full of whiskey and cheap beer I gladly did, but looking back on it now I can't believe I did this. This bar was in a crappy area of an even crappier city. You don't just follow strange men by yourself in the dark. But I did, and as we approached his car, he gave me a copy of the new Springsteen CD, Magic! I couldn't believe it, the album wasn't due out for a few more weeks! I thought for sure it was hoax, but he assured me it wasn't. All he asked was that I buy him a beer back at the bar. Ah, that's what he wanted all along! Well, beers were so cheap there I figured why not? This was the most clever scam I had ever seen to get a beer. But it wasn't a scam. When I got home and put the CD on heard the opening chords of "Radio Nowhere" I realized this guy was for real. I don't know how he got it, I don't know who he was, as I never saw him again, and I don't know why he gave it to me. But I was sure glad he had, as it's one of my favorite Springsteen albums ever.